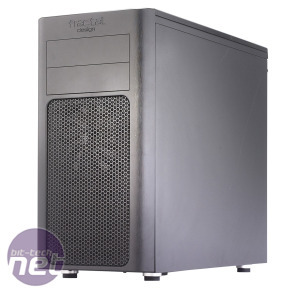 Fractal Design is best known for its Define range of cases, which are designed to be as quiet as possible. 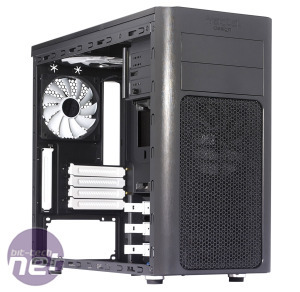 The company is very good at it too, and the Define R3 is our current favourite low-noise tower case. 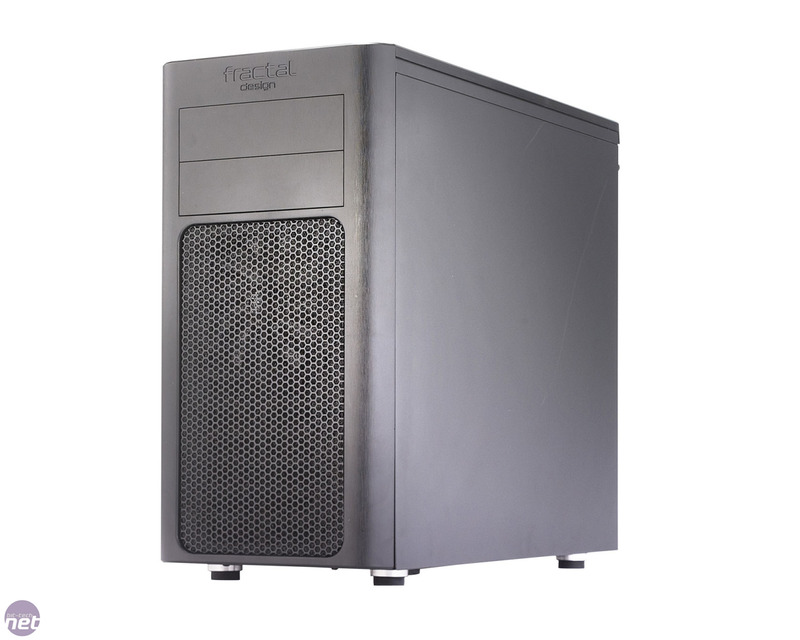 The new Arc range of cases denotes a change of pace for the company then, as they’ve been classified by Fractal Design as high-airflow cases that aim to offer class-leading cooling without such a focus on silence. 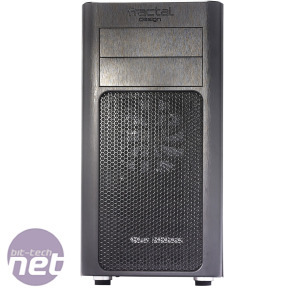 Fractal Design also claims to have developed the Arc range with water-cooling in mind. Initial impressions of the Arc Mini were good; the exterior of the case is plastic but it’s finished with an attractive aluminium-like look that’s pleasant to touch. That said, the Arc Mini doesn’t have the instant wow factor of the NZXT Vulcan or the SilverStone Fortress FT03, but understated design has always been a signature of the company’s cases. Whether you’re a fan of this is largely a matter of personal preference, but the simple, clean look should appeal to many potential buyers. 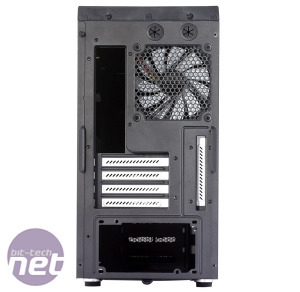 Meanwhile, the front of the case is dominated by a large grille that’s backed by an open, foam-like mesh that acts as a dust filter for the two 120mm fan mounts behind it. Unfortunately, the only way to remove the mesh for cleaning is to remove the front panel in which it’s fitted. Above this are two external 5.25in drive bays, one of which comes pre-fitted with a removable 5.25in to 3.5in adaptor. Moving up, the roof of the case is again made from plastic and plays host to another large grille, similar to the one on the front of the case. Removing two screws on the rear of the case reveals the plastic roof section and the grille to be totally removable, however, unveiling the metal chassis beneath and a pair of fan mounts. Again, this enables you to clean the dust filter located behind the large grille. 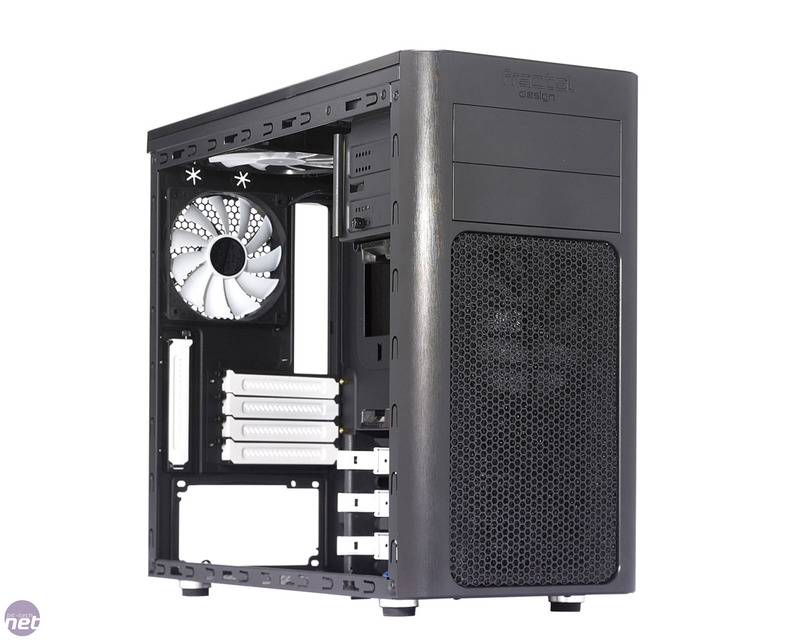 Comparatively, the side panels of the case are relatively spartan, with only a single 120mm/140mm fan grille adorning the left panel. Remove one of the sturdy sides of the case, though, and you’ll see some distinctive Fractal Design inclusions: the white hard disk trays and the excellent white and black Silent Series fans, for example. 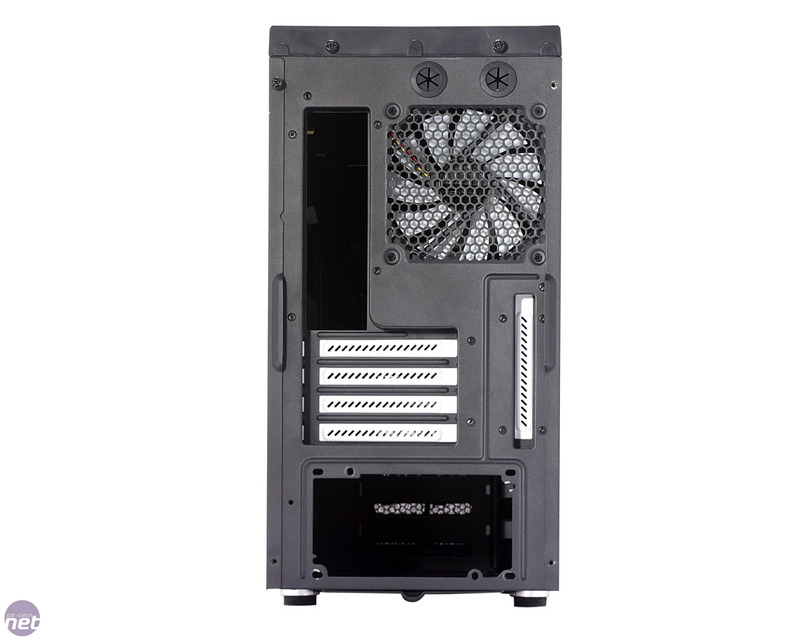 The rest of the internals of the case will be pretty familiar to anyone who has built a PC in a Fractal Design case before. There are six 3.5in drive bays, which can also take 2.5in SSDs, for example. These are split across two drive cages, each of which has three bays, and sit on top of one another. The upper drive cage is also removable, and can be either tossed aside (if you have a very long graphics card to accommodate) or attached in line with – or perpendicular to – the cage beneath it. 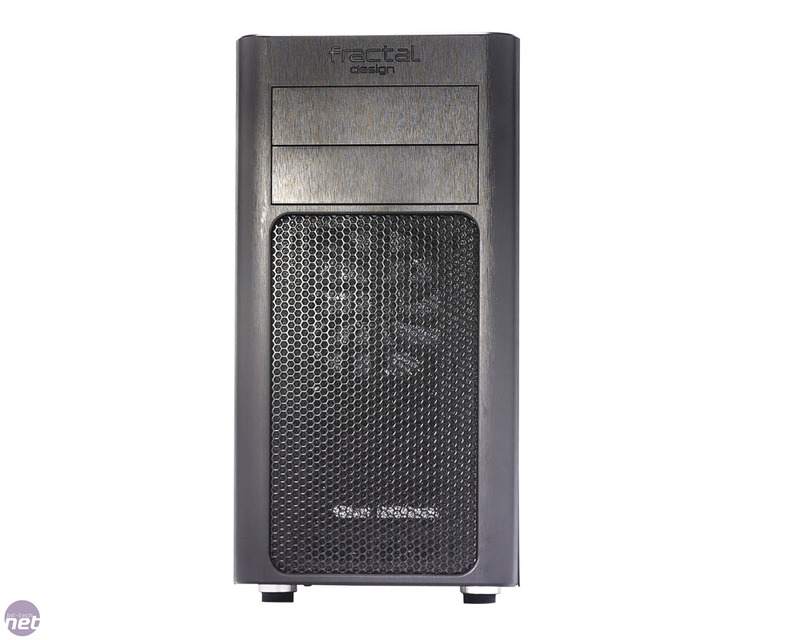 Meanwhile, the PSU mount is located in the bottom-rear of the case and, as with most quality cases, has its own dedicated intake grille that includes a removable dust filter. There’s also an empty 120mm intake fan mount located on the base of the case, although this won’t be usable if your PSU is longer than 170mm.